What is the dating of 1 John? Before AD 70 or After? I want to share a great question that we have received via email. The question of the dating of the NT books is critically important. The adversaries of Covenant Eschatology often take note that if any of the NT books were written after AD 70, and predicted the coming of the Lord, that this falsifies the full preterist view. The trouble of it is, that most of the attempts to date any of the NT books after AD 70 are based on presuppositions and bad theology. I am glad to share the question about the dating of 1 John with you. I have removed the emailer’s personal information for privacy– I will call him “John” for convenience. Have a dating question. 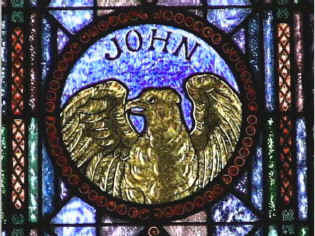 Most scholars agree that 1 John was written in 90 to 95 AD. If the end or the last days were shortly after the writing of revelation (approx. AD 70), then how can John say in 1 jn 2:18 “Children, it is the last hour, and as you have heard that antichrist is coming, so now many antichrists have come. Therefore we know that it is the last hour.” Seems like John would speak of the last hour in the past tense if the end had come 20 years early. I’m sure there is an explanation but I’m struggling with a perceived conflict. If the day of judgement came with the destruction of Jerusalem, how can John be speaking of it as if it had not happened yet 20years post destruction of Jerusalem? John, I apologize for the delay. I am, as you suggest, extremely busy. As to your comments about the dating of 1 John. A. That dating has in the past been linked directly to the idea that 1 John was written to combat the gnostic heresy. However, it is now widely recognized that Gnosticism did not arise until the second century. This would push the dating of 1 John even later than the proposed AD 95-98. That is untenable in light of John’s age. B. It has been assumed that John anticipated the imminent parousia, but of course he was wrong, but, he wrote in realization that the earlier predictions had failed, positing it now in his imminent future. 2. A close look, however, comparing John to the admittedly earlier writings is convincing -to me at least – that he was writing at a much earlier date than normally proposed. His emphasis on the imminence of the end agrees perfectly with that expressed in epistles that are almost universally admitted to be early– i.e. pre-AD 70. (Hebrews 10:37 / James 5:6-9 / 1 Peter 4:7, etc.). His reference to the day of judgment agrees with that stated in other texts to be delimited to the first century– (Matthew 16:27-28 / 1 Peter 4:7-17 / James 5:9 / Revelation 22:10-12). His appeal to the appearance of the anti-Christs (and, I might add, apostasy). This points us directly to the Olivet Discourse, where Jesus predicted this to occur prior to AD 70– (Matthew 24:10f / Luke 21:8). In fact, the parallels between the Olivet Discourse and 1 John are more than a little impressive. These parallels with texts that are widely admitted to be pre-AD 70 raises the question as to why John would be using the identical language, the identical motifs at a much later period of time, that is, after the fulfillment of those earlier texts. The better explanation is that he was in fact writing during the same period, about the same things. In my book, Who Is This Babylon? I address the dating of Revelation, which of course, is directly related to the question about the dating of John’s other epistles. 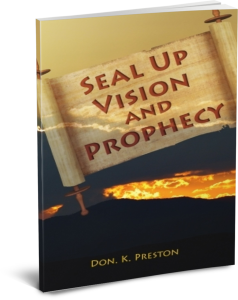 In addition, in my book Seal Up Vision and Prophecy, I show from Daniel 9 that all inspiration ceased by AD 70– just as Daniel 9 foretold. According to Daniel 9:24, the prophetic office was to cease by AD 70. This settles the issue of the dating of 1 John. This book proves that all of the NT books were written prior to AD 70! A great resource! I hope this helps a bit. Thanks for contacting me! Next Next post: The Resurrection: Two Hours? Two Resurrections?